Unfortunately ,I was rear ended in an auto accident last June and have been suffering the after effects for several months. Without going into the gory details, I had to have neck surgery in early December. As you might expect the hardest part of recuperation was being still. Just not in my nature I guess. The good news is that the surgery was a success and I am slowly getting back into the studio to do what I love most. 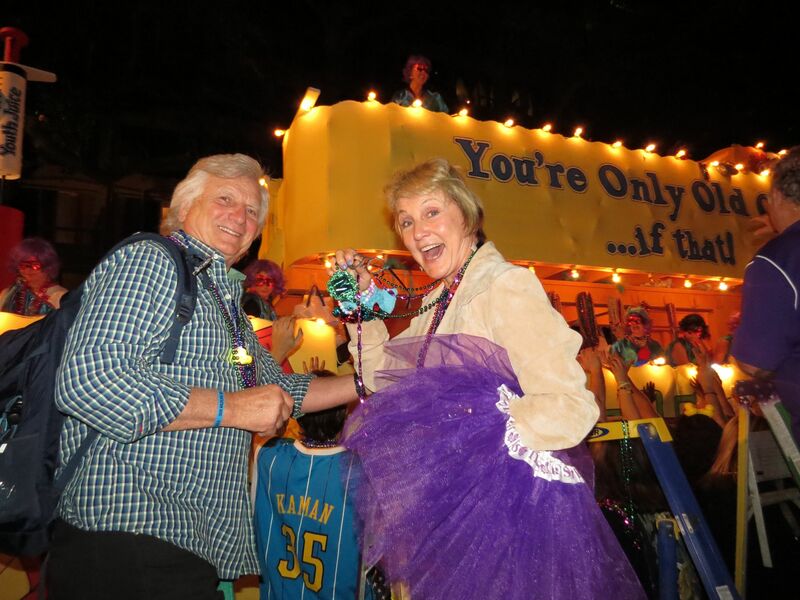 I did manage a trip into town with my friends Glen and Laura and Jim to view one of the coolest night parades of Mardi Gras. 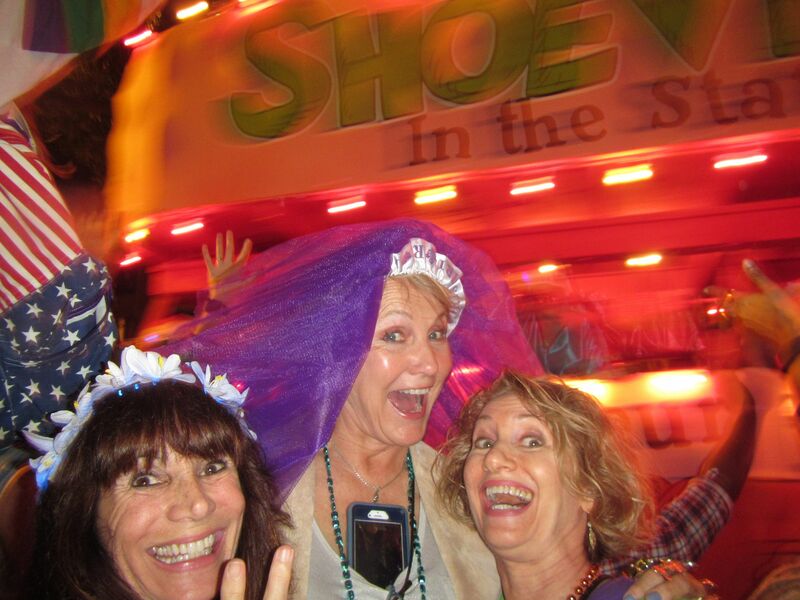 It was the all-female KREWE OF MUSES and it was really a hoot. 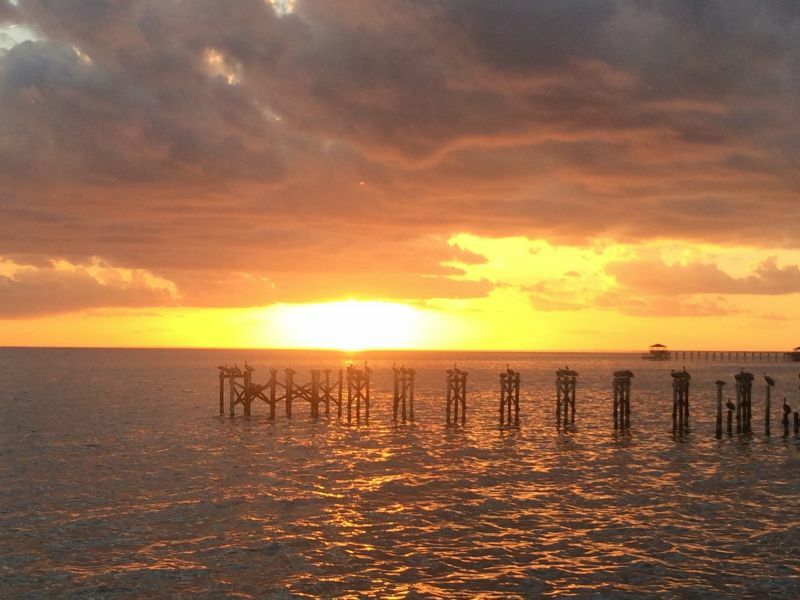 Winter sunsets from our friends dock-Both Jim and I are addicted to sunsets! Each evening we walk down the street to a friend's dock to recharge and let our dogs run. 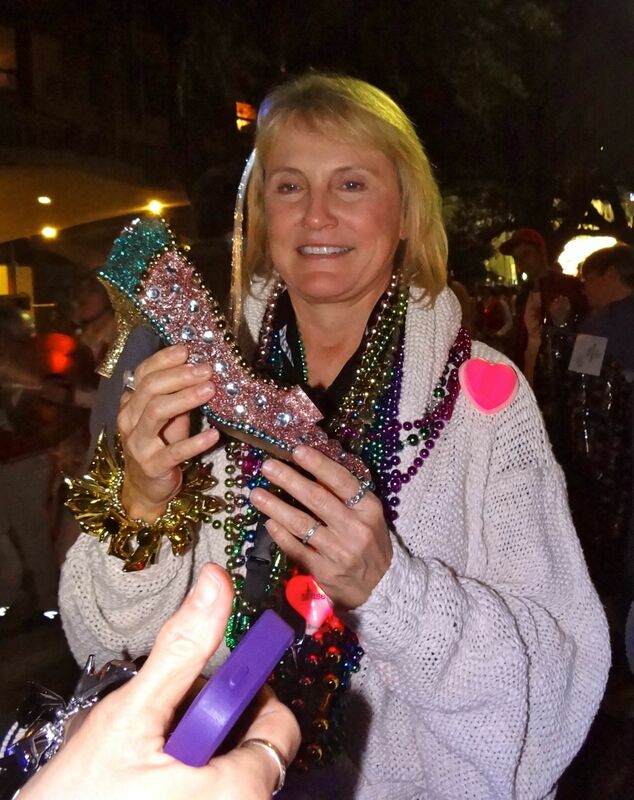 Of course, everyone is yelling" throw me something Mister"
Colorful beads, LED lights,doubloons, and trinkets are thrown to the crowd.The most sought after "throw" is a hand decorated High heel shoe! My "Prize"- handed down to me from the float,thanks to my friends! 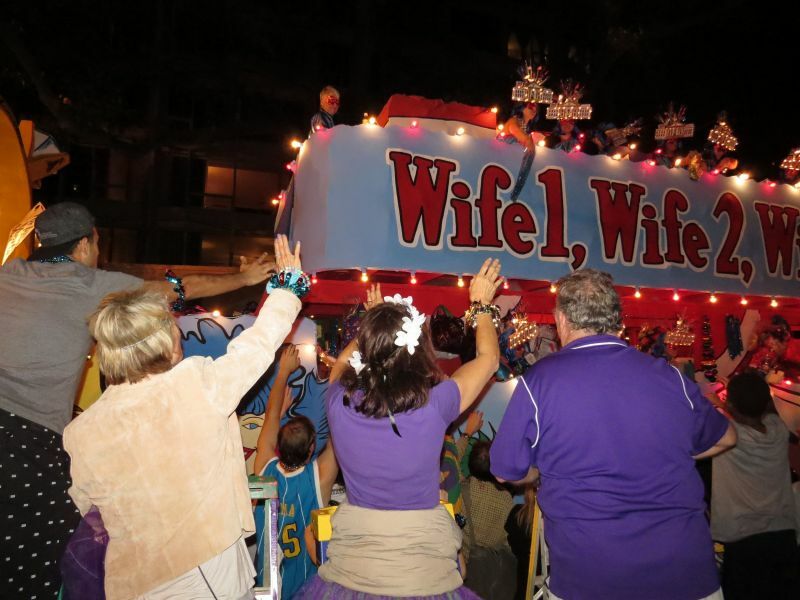 Hand decorated with rhinestones and sequins, I got a "favor" from one of our friends who was a Krewe Member! Perfect for my Studio! Before generators,Parades were lit by "Flambeau carriers", carrying kerosene lamps with reflectors. 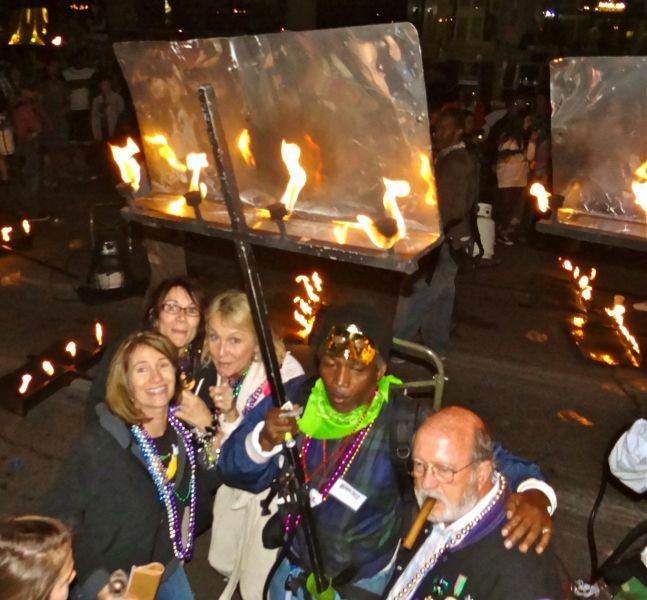 Jim said that when he was a kid, all the night parades were lit by Flambeau carriers. 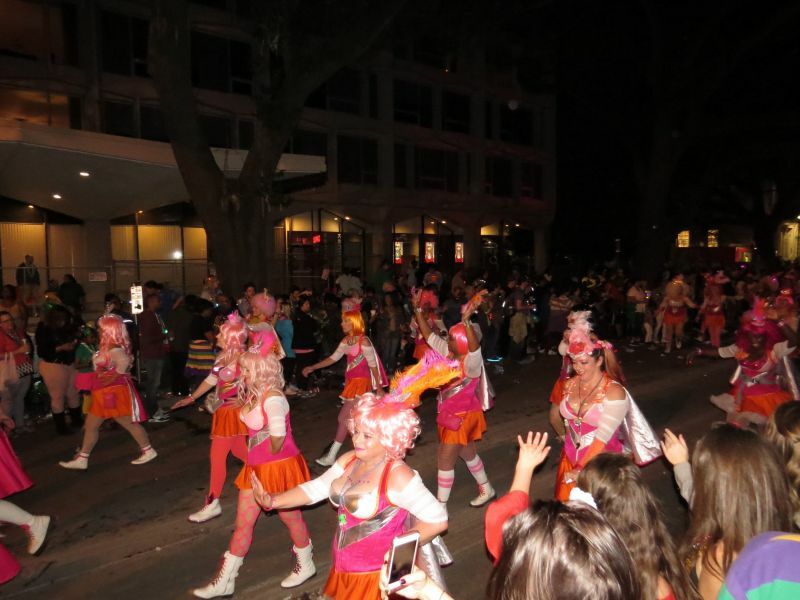 The men carrying the Flambeau's would dance and strut down the street and their kids would pick up coins and bills flown into the street for them. 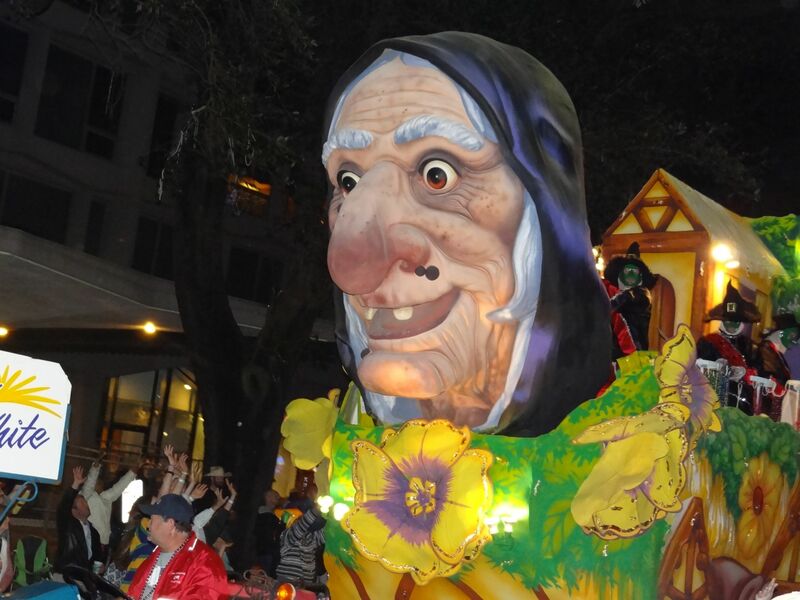 Thanks to generators, and LEDs today's floats are colorful and brightly lit. 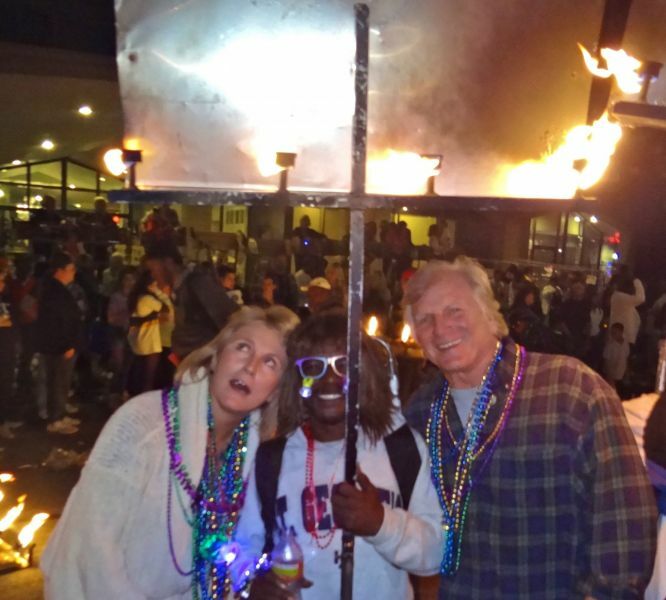 Jim and I wondering how this Flambeau carrier carried it for the 5 mile parade route. Somehow I caught a "TUTU" and it fit my head perfectly.